The greatest inspiration for this painting are some of the works of Italian painter Caravaggio, mainly his painting David with the head of Goliath. It is believed that this painting may be a double self-portrait. 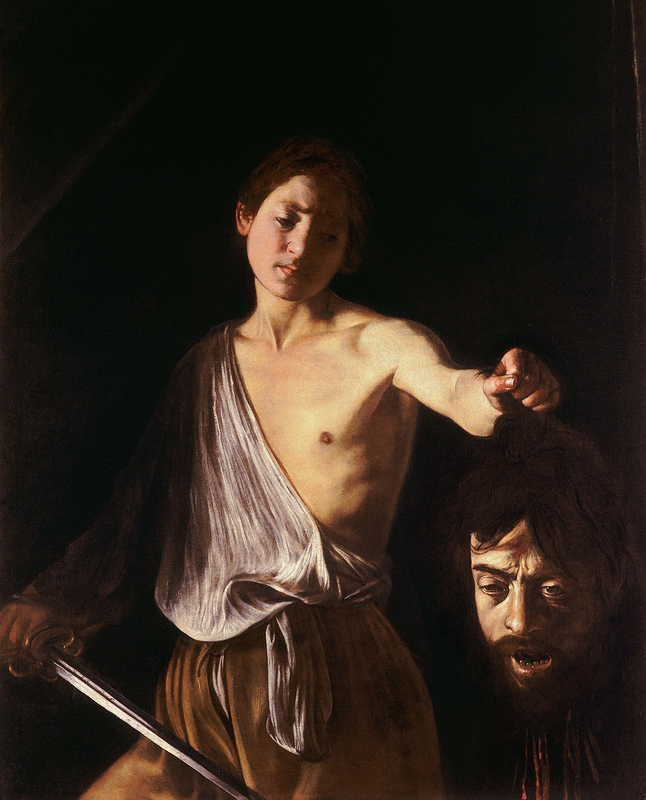 The young Caravaggio (David) wistfully holds the head of the adult Caravaggio (Goliath). The wild and riotous behavior of the young Caravaggio essentially had destroyed his life as a mature adult, and he reflects with a familiar hermeticism on his own condition in a painting of a not entirely unrelated religious subject. 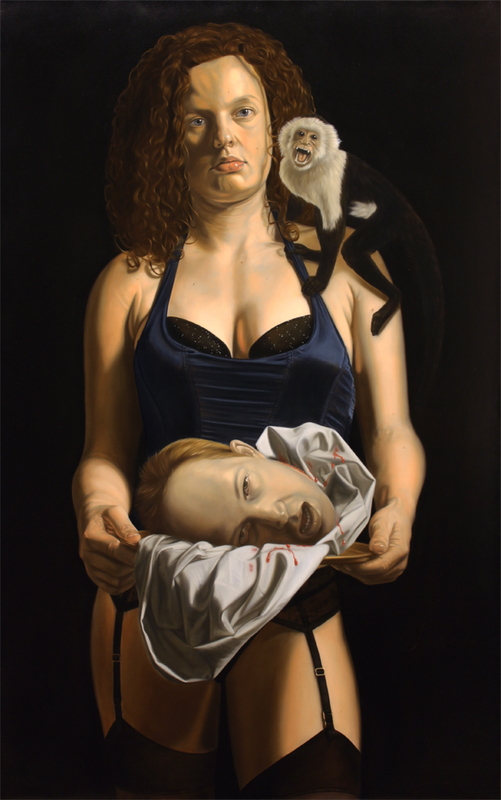 In self-portrait there is not a religious context. And there isn’t really a self-reflection of the beheaded painter. It is more like a mirror. The painter warns the viewer and wants them to admire the high culture before it’s to late. In his opinion high culture is being flooded by low culture, and if it continues we will all be ‘mental’ beheaded as a result of lack of culture. The monkey gives you a angry face to warn you. 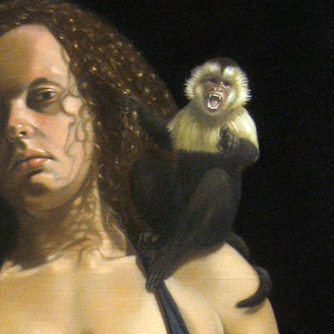 In the modello of this painting, the monkey points a finger to the viewers to strengthen the idea that they are the culprits. The woman in lingerie can be seen as a twist and a glimmer of hope in the despair. Hopefully she will attract people for the high culture.